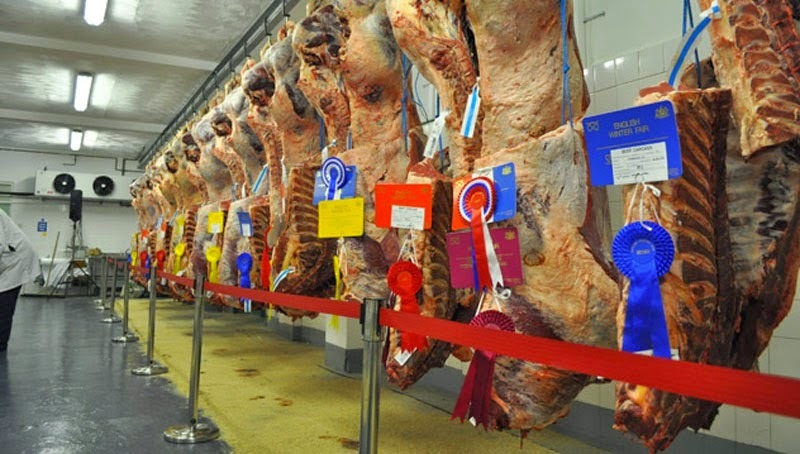 On the 15th and 16th November 2014 Bedfordshire Young Farmers entered a team in the Staffordshire and Birmingham Agricultural Society Live and Carcase judging competition at the English Winter Fair at the Staffordshire showground. The team who compromised of Caroline Morris, Sam Evans, Henry Shaw, Freddie Evans, Maddie Knightly, Rachael Black, Alex Morris and Simon Caves. After a couple of practises at Evans and tuition from Freddie and Sam Evans everyone headed up to Stafford on the Saturday evening to attend a dinner and dance organised by NFYFC and the Staffordshire and Birmingham Agricultural Society. The dinner and dance was well attended by members who were competing in the competition and was good fun. 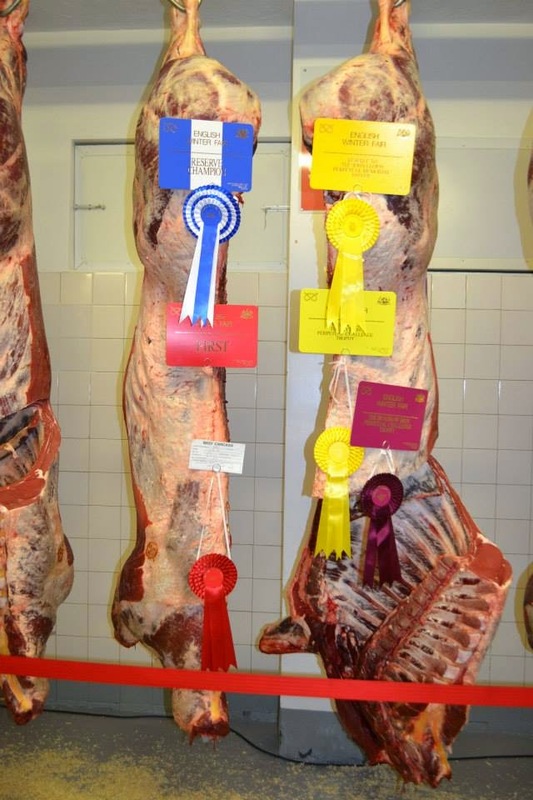 On the Sunday the team competed in the live beef stock judging, live lamb judging, lamb carcase judging and pork carcase judging. 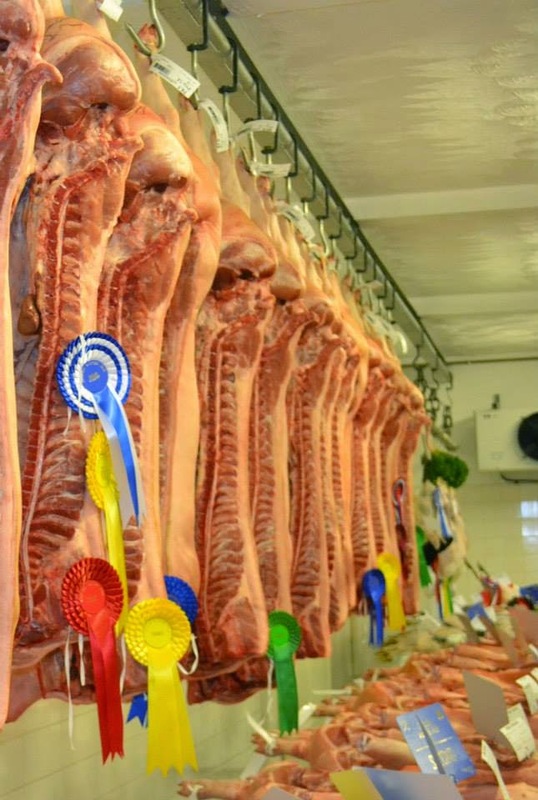 After the team had placed four animals or four carcases given eight sets of reasons we had a look around the show whilst waiting for the results. The results were given in the Bingley Hall and the team did brilliantly to be placed 12th overall out of 19 counties. A great weekend thank you to everyone who competed.